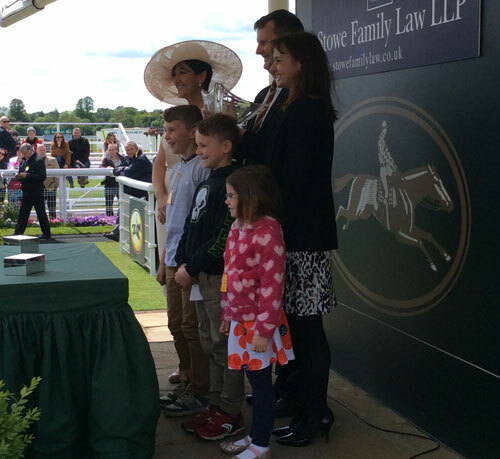 Yesterday I had the very great privilege and pleasure of being a guest of Marilyn Stowe at the running of the Stowe Family Law LLP Grand Cup, at York racecourse. The sun shone, guests far more distinguished than I arrived (such as the two QCs in the picture above) and the racing was excellent. 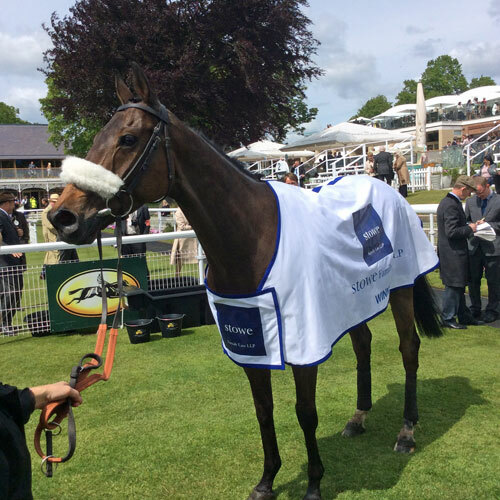 As to the latter, the favourite (and joint winner from last year) took the field by storm, by coming from last up the home straight. I gave him (I assume a gelding is a 'him'?) a stroke on the forehead, to which he didn't take too great an exception. It was a real pleasure getting up so close to these magnificent animals. 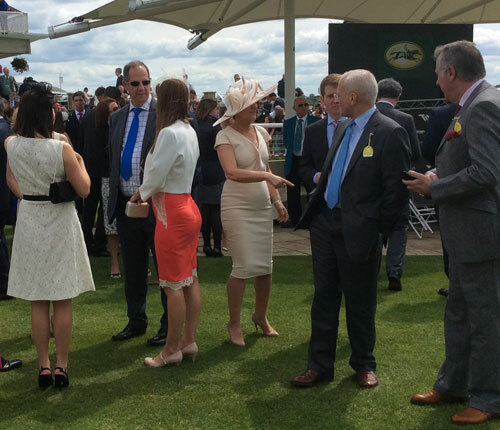 Excellent company, wonderful surroundings (a box overlooking the finishing line) and superb hospitality. What more could anyone ask for a Grand Day Out? Second class litigants - The perils faced by those who can't afford proper legal representation, as demonstrated by Re Baggaley. A small ray of light is extinguished - The Court of Appeal's decision in K & H (Children) that the court had no power to order HMCTS to provide funding for legal representation outside the LASPO scheme. How the other half litigate - In stark contrast to Re Baggaley, we have G v G, demonstrating how different our family justice system is for those with money. The Supreme Court has handed down a decision in a Scottish child abduction case that has some noteworthy things to say about a child's habitual residence. AR v RN (Scotland)  UKSC 35 concerned two children who had been brought to Scotland from France by their mother, with their father's consent, with the intention that they live in Scotland for about a year. However, some four months later the relationship between the parents broke down and the mother applied for a residence order in Scotland. The father argued that the initiation of those proceedings was a wrongful retention within the meaning of the Convention, on the basis that the children were habitually resident in France immediately before proceedings commenced. At first instance the court agreed with the father. However, that decision was reversed on appeal and the father therefore appealed to the Supreme Court. The Supreme Court dismissed the appeal, saying that in determining habitual residence, the focus is upon the situation of the child, with the intentions of the parents being merely one of the relevant factors. The important question is whether the residence has the necessary quality of stability, not whether it is necessarily intended to be permanent. Here, the children's home was Scotland for the time being, their social life and much of their family life being there. Accordingly, the question of wrongful retention did not arise. A press summary of the judgment can be found here, and the full judgment here. A little light on legal services orders - From Mr Justice Moylan in the 2013 case EM v AK. Mediation limitations - I gloat over being right about the limits of mediation as a method of resolving family law disputes. The tangled web of modern families - As demonstrated by the case EN (Mother) v AH (Father). Right, I'm off to wander lonely as a cloud. Wherever you are, enjoy your Spring Bank holiday weekend. 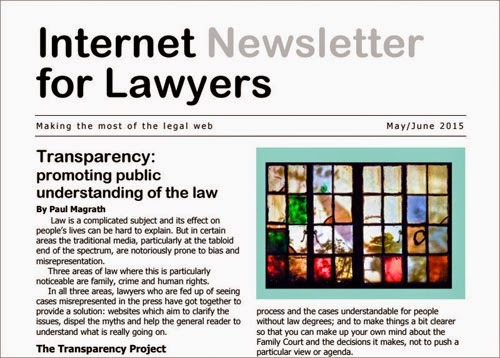 What will the new government mean for family law? - A few post-election thoughts. Lessons in parenthood - Looking at the comments of HHJ Lochrane in W v G.
The effect of the legal aid cuts on court usage - And not quite as I expected, if my analysis is correct. The smell of the Vaseline and the roar of the crowd - A look at Mr Justice Holman's words in the Field case, and the reason for the awful puns in this post. *For the younger in the audience, Angelo Dundee was Muhammad Ali's trainer. As a high profile multi-million pound cash dispute begins in the London High Court, a leading family charity has agreed with a judge’s comments that divorce litigation is “like a boxing match”, but says it’s the children who emerge with “lifelong bruises” from the battle, having staggered “helpless and bewildered around the ring”. Ekaterina and Richard Fields were married for about a decade, have two children and are now battling over assets thought to be worth around £6m. It has been estimated legal bills for the case could total around £1 million. Having urged “serious discussion” between the couple and their representatives to seek a settlement, Mr Justice Holman, hearing initial lawyer submissions, asked Mrs Fields if she had previously experienced litigation. She hadn’t. “It’s awful. Don’t you think it’s awful? It’s like a boxing match,” the judge said. 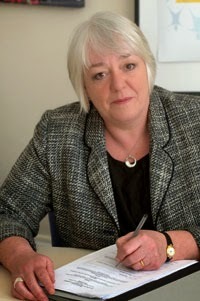 National Family Mediation CEO Jane Robey said: “The judge is right. Divorce litigation is like a big fight, but the greatest worry is that the children are caught in the middle of the battle. “The children stagger helpless and bewildered around the ring, emerging with lifelong bruises, while the couple search fruitlessly for a knockout blow. 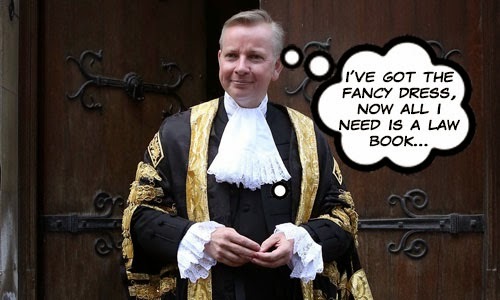 “The judge in this case is right to urge settlement, and it is time for the judiciary to become more vocal in its efforts to avoid court battles whether they involve multi-million pound assets or, like most divorce cases, much, much smaller sums in property, debts and pensions. “Divorce litigation can be avoided with an open mind and a determination to put children first. That’s why family mediation works for over 80 per cent of the couples who use our services. An open mind enables warring couples to try to find a mediated settlement and, in doing so, the interests of their children are placed centre stage,” she added. A rare successful Barder appeal - The case of Critchell v Critchell. Rules are there for a purpose - As confirmed by the Court of Appeal in Re D (Children). Do the legal aid cuts threaten our democracy? - As suggested by 138 professionals in an open letter to The Guardian. Have a good, politics-free, weekend. A quick look at P v P  EWCA Civ 447, which was decided yesterday. The case contains no new law, but is of interest nevertheless. The case concerned an appeal by the trustees of a post-nuptial settlement against an order of Mr Justice Mostyn, which varied the settlement by way of ancillary relief. The trust property is a farmhouse, which had been the matrimonial home. The trust was established in 2009. The settlor was the husband's parents, and he was the principal beneficiary. Essentially, the trust provided that the husband could occupy the farmhouse during his lifetime, whereupon it would pass to other members of the settlor's family. The husband and wife separated in 2012 and a joint residence arrangement was reached between them in relation to their child. Mr Justice Mostyn varied the trust to provide that a sum of £23,000 was to be paid to the wife absolutely and that a sum of £134,000 was to be provided for the benefit of the wife for life, to be held by independent trustees, with the wife entitled to use the capital sum for or towards the purchase of a property for her occupation. The order would mean that the farmhouse, in which the husband intended to reside, would have to be sold, unless the husband's family were able to satisfy the order (which Mostyn J clearly considered was a possibility, if not a probability). The trustees appealed, saying that the order was wrong in that it exceeded the proper ambit of the judge's discretion, or failed to balance the relevant factors properly. "The breadth of the discretion to vary a nuptial settlement is considerable, including the power to exclude a beneficiary entirely from the settlement and to transfer an asset to a non-beneficiary free from all trusts (Ben Hashem §290(i)). In theory, therefore, it is wide enough to encompass the order that Mostyn J made. The appeal can only succeed if the exercise of the discretion in this case was flawed." She found that Mostyn J's exercise of his discretion was not flawed. He had based the award upon the wife's need to rehouse herself, and she was not prepared to interfere with his assessment of that need. As to the husband's needs, Mostyn J did not accept that it was necessary for him to live in the farmhouse, as he was housed elsewhere in family property. "The question becomes whether the order that he made failed to pay sufficient regard to what might be called compendiously "the trust considerations". The judgment leaves one in no doubt that Mostyn J gave full attention to these considerations. He said that he gave "heavy respect" to "the intention of the settlor and the knowledge of the parties that ultimately the value of the settlement would revert to the estate" and it is apparent from his judgment, both in terms of what he said and what he ordered, that this was not merely lip-service. He referred in §54 to the tension that the court had to resolve and in §55 acknowledged that the case was not a straightforward case because of the "trust complications". In the paragraphs that followed, his efforts to provide for the wife, whilst still respecting the existence and purpose of the trust, are clear. And his choice, at §60, of a life interest rather than an outright payment in respect of the bulk of the money that was to come from the trust, reflected that this was not a straightforward ancillary relief situation." 1. Had the marriage persisted, the wife would have enjoyed the benefit of the trust property for life by virtue of her occupation of it with the husband as the family home. The order merely built upon this by enabling her to continue to be housed in accommodation purchased with the assistance of an appropriate proportion of the trust funds, the balance being left available for the husband's needs. 2. The other beneficiaries would, in any event, have been likely to have to wait for a long time before they could hope to benefit - they could expect nothing until the husband's death. A life interest to the wife (who is of similar age to the husband) does not therefore prejudice them materially. 3. "Thirdly, it cannot be ignored that there were powers under the trust to transfer the property to the husband for his absolute use and benefit, thus depriving the other beneficiaries, and the husband's brother and his issue as remaindermen, of their chance of benefit. In the event that the husband chose to sell the property thereafter, it would be lost to the estate as well." "To my mind, these points show that the detriment to third parties from the variation of the trust should not be overstated, and nor should the weight to be given to the settlor's intentions in setting up the trust. I do not think it can be said that innocent third parties have been inappropriately deprived of their rights under the settlement, nor do I consider that the settlement has been varied with an inappropriate disregard for the intentions of the settler or further than was necessary to make provision for the wife and the child (also a beneficiary) when with her. The route chosen by Mostyn J was the least intrusive available. The trust had no assets other than the farmhouse and, having no income, had no way in which to raise money against the property ... His order was to be met from the assets of the trust and the trustees' complaint is, in reality, about the fact that there was no alternative way to satisfy the order here than a sale of the trust property." In a concurring judgment Lord Justice Jackson also had something to say about seeking permission to appeal, pointing out that it was good practice to apply to the lower court for permission, rather than pursuing an application for permission directly to the Court of Appeal without reference to the judge of the lower court (as had occurred here, much to the displeasure of Mostyn J). A safety net with a hole - Looking at the Full Fact report examining the claims and counter-claims regarding legal aid provision referred to in the BBC’s recent Panorama programme. Mitigating the effects of the legal aid cuts - Looking at the FLBA paper Access to Justice in the Family Court. What is the Privy Council? - A question made topical by the Bromfield decision this week. Who said family law was easy? 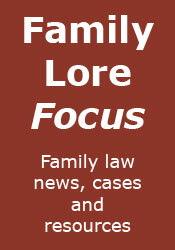 - A look at some recent difficult decisions facing the family courts.